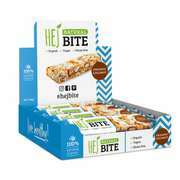 Delicious natural nut bar – crunchy! Your healthy snack for school, work or long drives. Healthy nuts are a great source of natural energy. No sugar rush from this agave sweetened delicious treat! When do I eat it? Whenever you feel like it. Especially in between meals as a power snack or during long work days! Take one delicious Hejbite at a time - they are a great natural, vegan source of energy! We believe real ingredients are best for you. That's why our Hejbite is packed with nutritious organic nuts. Premium nuts deliver many benefits – Omega 3 fats & natural proteins. For your healthy lifestyle. Sustainable, ecological, tasty! If it's good for you, it should also be good for the environment. California almonds paired with real whole foods bound by tasty agave - That’s it! We only sweeten with agave to keep the sugar content as low as possible. You can enjoy every bite of natural goodness! Specific production processes ensure certified gluten free products! Your answer to the afternoon low is called Hejbite! 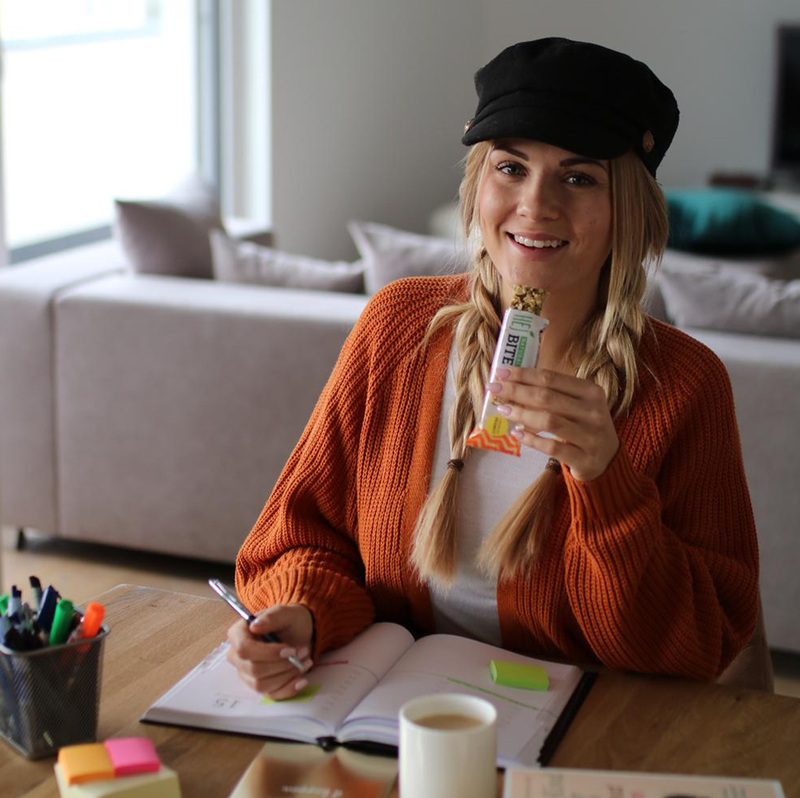 Your trusted companion – vegan, gluten free and only the best ingredients from mother nature. Is the Hejbite vegan, gluten-free and organic? The Hejbite is 100% organic, vegan and free from any gluten. Before each production all machines are being specially cleaned to ensure that all bars are gluten free. What is the main ingredient of the Hejbite? The main ingredient of the Hejbite are organic almonds. This is unlike other bars which mainly consist of cheap oats. What makes the Hejbite special? 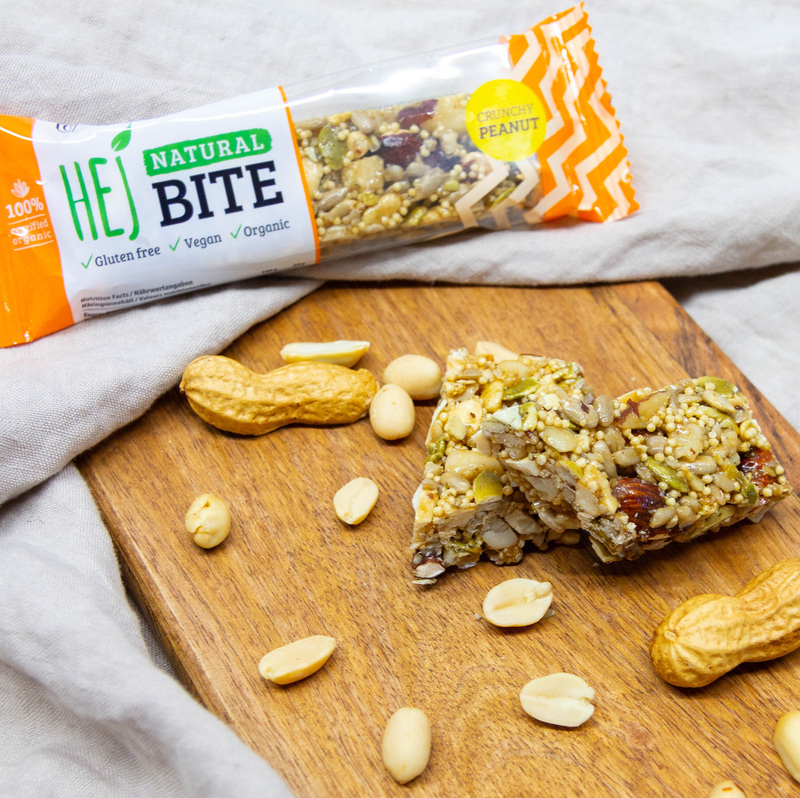 The Hejbite is a natural & delicious combination of whole organic nuts and agave syrup. The Hejbite provides healthy energy and is additionally 100% vegan and certified organic. Finally, there is the perfect snack on the road! Made of 100% natural ingredients, the Hejbite provides delicious energy on trips, in the afternoon or in the office. 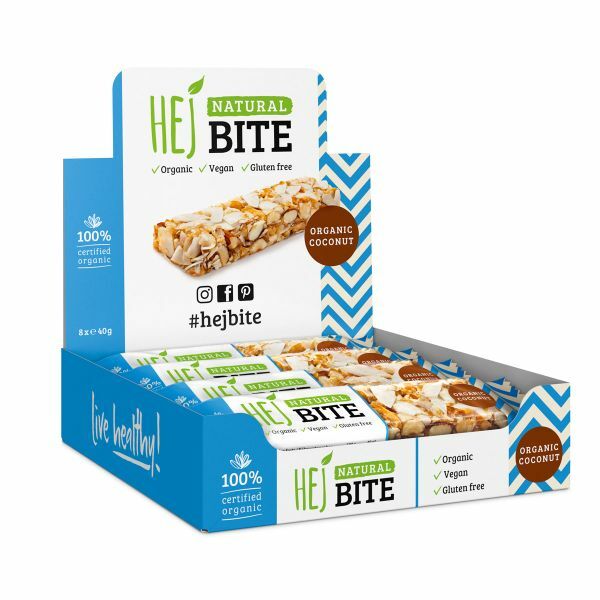 Sweetened with natural agave, the Hejbite is the healthy alternative when those cravings are coming. Vegan, organic and gluten free! 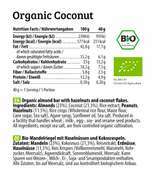 Variant Almond & Sea Salt, Vanilla & Cocoa Nibs and Organic Coconut: contains almonds, hazelnuts and peanuts. Variant Cashew & Ginger: contains almonds, cashews and hazelnuts. Variant Chocolate & Nuts: contains almonds, hazelnuts, peanuts and soy. May contain traces of nutshell fragements, nuts, sesame, milk and eggs.